What is the best thing about our UK camps? Our activities came out on top across all four of our day and residential camps as the best thing about our camps! We are very proud of the variety we have on offer, meaning that every day is different and kids and teenagers have the opportunity to try something new each summer. We’re incredibly grateful and think that we have the best staff team in the UK and it seems like campers and their family agree with us too! Our staff are also very appreciative of one another and the strong bonds they make each year – it is not just our campers who make friends for life! The atmosphere at our camps is very special and something that is hard to describe to people who have not experienced our camps before. We like to describe it as safe, friendly and cosy. There is always a lot of team spirit and enthusiasm in the air too! Our campers come from all around the world from countries including the UK, USA, Sweden, China, Russia, Saudi Arabia, Cameroon, Taiwan, Israel and Turkey to name a few. 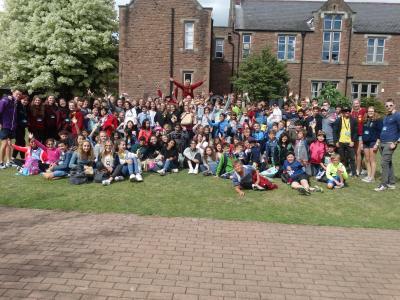 The international experience which comes with XUK was also a strong contender in ‘what is the best thing about XUK?’ Having campers from every continent (apart from Antarctica) brings different cultures, languages and religions together. We can all learn from each other! You might have the best people (campers & staff) but you also need some great facilities to run a successful summer camp. Our camps are ran from some of the best summer schools in the UK with outstanding facilities. At our camps, you can find facilities which include theatres, sports halls, swimming pools, all weather astro pitches, acres of green space, woodland areas and state of the art classrooms! Our English lessons came up frequently as a best part of XUK. 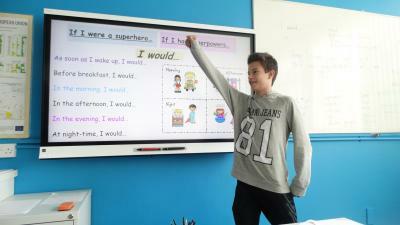 Our students love learning and improving their English in a engaging and interactive way with our qualified teachers. It’s not unusual to see them outside having so much fun, they do not even realise they are learning! One of the best things about the UK is our British culture. Our trips give our campers the chance to soak it up whilst sightseeing and having the opportunity to do some shopping. The Optional Extras we have on offer also give campers a chance to try something they might not have done before, whether that is horse riding or racing around in a go kart!